I'm looking to take as much weight off of it as possible, solo seat, I can't really afford to get a new exhaust system, but am willing to work with what I can to change locations of the cans, or work a way to use a single Yosh can I have from my TLS. What about making a Ex-Box style exhaust? Simple to make if you have the right tools. This should drop a bit of weight and lower the center of gravity. For the radiator, under the tail would solve all your problems with scraping but is a lot of work to do(not sure how much money) there are a few people on here that have done it and you should be able to find threads about it here. Another option would be to use an sv1000 radiator up fron mounted high, you might have to cut down a couple rows up top to clear the frame and have enough space for the front wheel to not hit it. This would be less time consuming and cheaper and would solve the scraping issues. 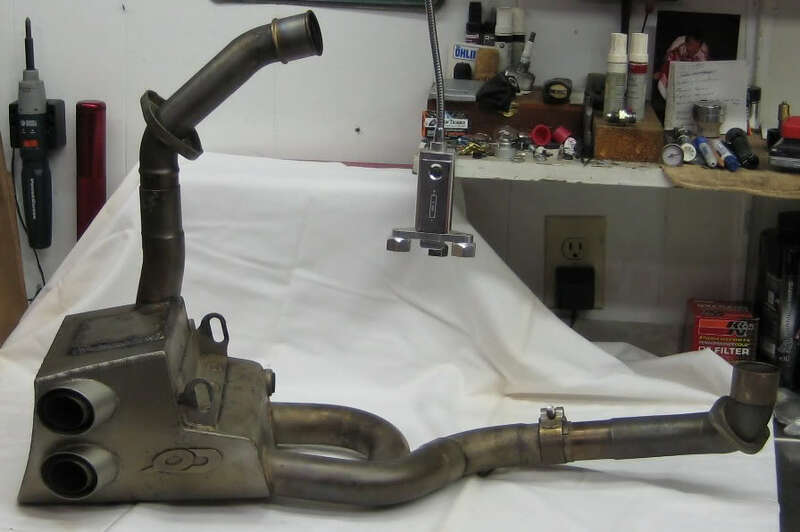 As for the exhaust, to reiterate what crux said, if you have to tools skys the limit on that one and would cost sigbificantly less to make yourself then buy a highmount setup. The heaviest part back there is the steel subframe... but as for solo seats whaccessories.com has a few aftermarket ones and webike.com has a few factory looking solo seats that may cost a pretty penny. My exhaust is super light and very small form factor compared to stock. Affordable as well. Yea....I think my exhaust was like 200 shipped? Either way...My exhaust is probably the smallest form factor exhaust you will find without going to straight pipes or high mounting. 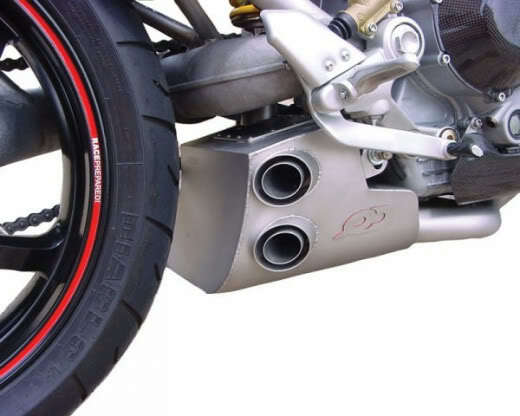 all this talk bout different exhaust is nice but the reality is that the first bit on these bikes to touch down is the header in right hand turns. Changing exhaust is just cosmetic as you will not gain any clearance with any of them.... well except for the Moriwaki STG 2 oil pan, pick up and header which moves everything to the center-line of the bike...... but you will never find that stuff and if you did it would cost mpre than the bike. b.) no radiator at all - if you only run it for 1 1/2 minutes at a time, does it need one? I want to eventually be able to get it back on the street in order to demo some skills at a few prime locations around Los Angeles. A smaller radiator horizontally mounted behind the front wheel would work, It's just so much easier to work on the front head with the radiator where its at. I guess I've got to compromise somewhere huh? Radiator on the front number plate? Take a look at the early 1980's yz125's - they actually had the radiator up there! I've seen a streetfighter gsxr with the oil cooler up there too - it was in a recent cycle world magazine. Looked goofy as all get out - but didn't hit the ground! 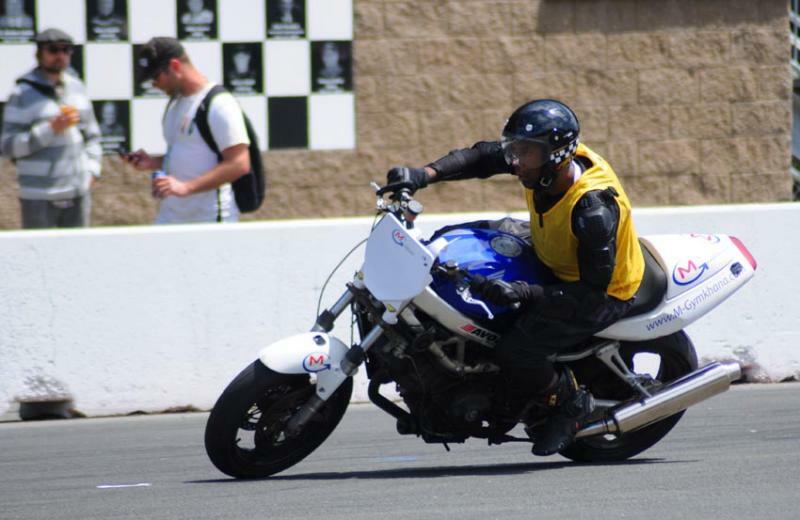 Maybe mount the oil cooler on top of your helmet with a scoop, and have quick disconnect oil lines?